Motorcycle pants often get overlooked. They are not as important as essential as a helmet, not as stylish as a jacket, and not as imperative to comfort as boots or gloves. Nonetheless, they are an important part of any riding outfit whether your road is a long one through various conditions, or your road is actually a track. The REV’IT! Ignition 3 Pants are the latest iteration in a long-standing line of top-quality summer pants that have the distinguishing characteristics of being both leather and mesh, as well as mesh and waterproof. 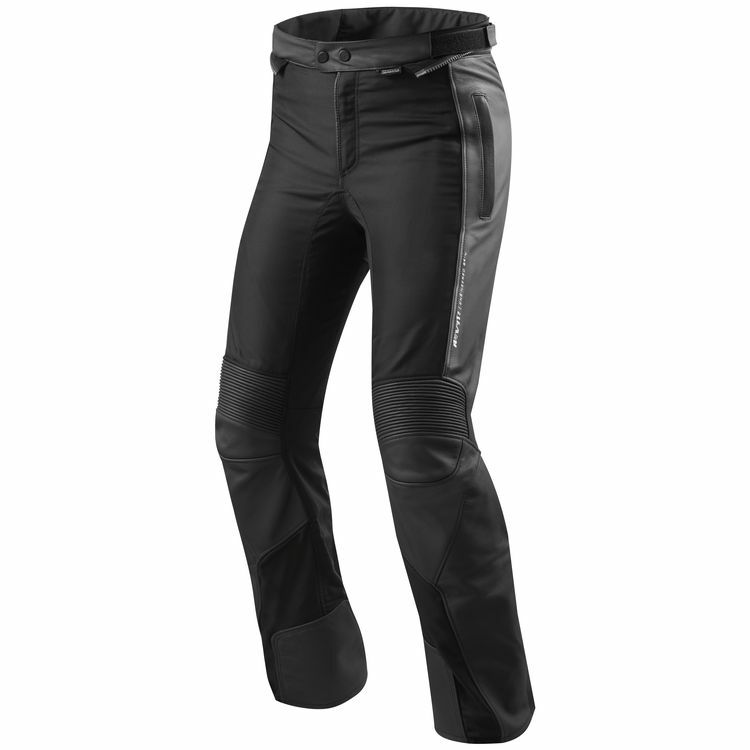 Designed for riders who prefer the leather look but not the leather lack of airflow, the Ignition 3 Pants are constructed of a combination of Monaco Performance cowhide, PWR|shell 500D stretch and dynax mesh. Underneath they also feature a detachable hydratex|3L waterproof layer for rainy days and windblocking. 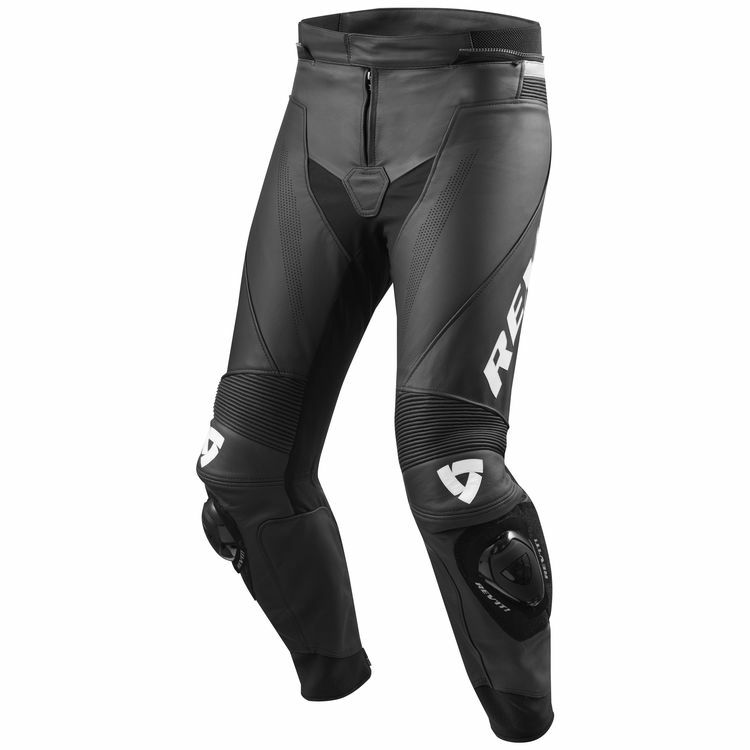 Additional features include Seeflex CE Level 2 protection at the knees and Seesmart CE Level 1 Type B hip armor. For those who prefer the go-fast track style, the REV’IT! Vertex GT Pants are a full leather option that use Monaco Performance cowhide and PWR|shell 500D stretch with Lorica throughout. Underneath the partly perforated outer shell, Seeflex CE Level 2 knee armor and Seesmart CE Level 1 Type B hip armor also offer advanced impact protection. Additional features of the Vertex GT Pants include stretch lips, both short and long connection zippers, and ergonomically placed stretch panels for increased range of motion. Regardless of where you ride, or what style you may have to go along with the realities of the weather in which you trek, the Spring 2018 lineup of REV’IT! pants offer options to round out your outfit.